As Bob Meyer looks around Mount Vintage Plantation Golf Club, he is amazed at the transformation made in just a few months. Since the homeowners’ association purchased the course in August, a number of improvements have been made to the facilities. 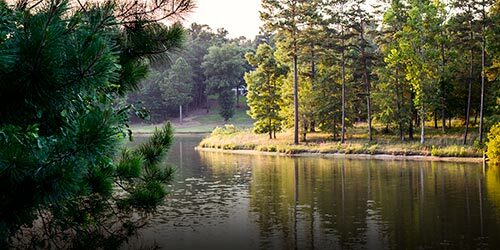 The homeowners’ association is leasing the course to Golf Gem MV, comprised of golf members and residents, and it is operating the course and overseeing day-to-day operations. 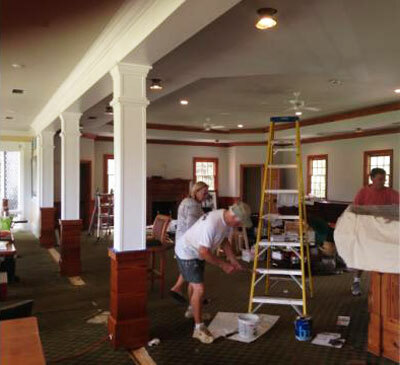 While improvements have been made to the town center and clubhouse grill, the most noticeable difference is the condition of the golf course. The picturesque layout opened its original 18-hole layout in April 2000, and a third nine was opened in March 2008. But with financial difficulties plaguing the development the past few years, the course fell into disrepair. The lush greens were baked out and brown in many spots, and the bunkers, cart paths and bridge work also suffered from neglect. Now, under the guidance of new superintendent Rodney Crow, the course is flourishing again. Golf Gem MV raised $1.25 million for capital improvements and a reserve fund. A new golf professional, Jeff Marks, and food and beverage manager, Beverly Burke, are also on board now. Karlberg said the plan is to restore the Independent and Vintage nines to Class A shape by Masters Week, and then focus on the Chester nine for the remainder of 2017. The course is closed on Mondays, but that doesn’t mean there isn’t any work going on. That’s typically the day the most volunteers come out to pitch in and help in different areas. Meyer, the membership chairman, said the club is offering deals to attract former members and new prospects. Originally posted on December 11, 2016 08:21 pm on the Augusta Chronicle website. Reach John Boyette at (706) 823-3337 or john.boyette@augustachronicle.com.